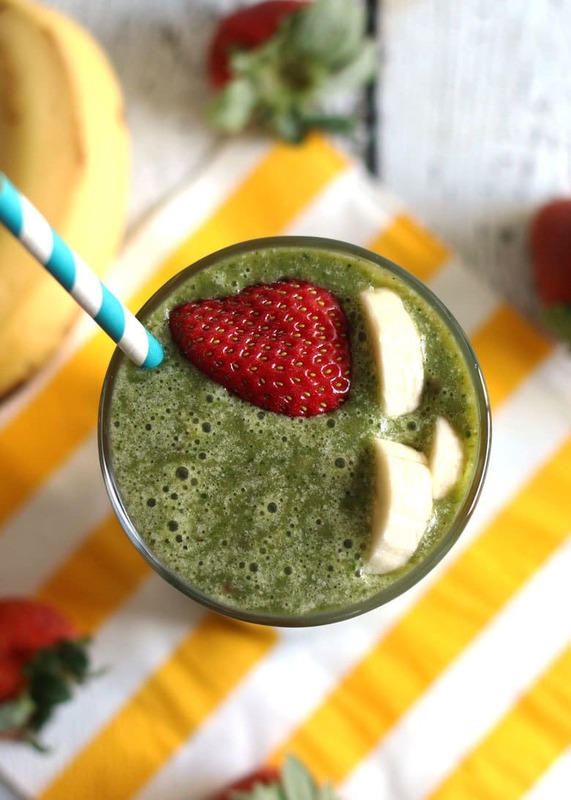 Looking for a healthy breakfast? 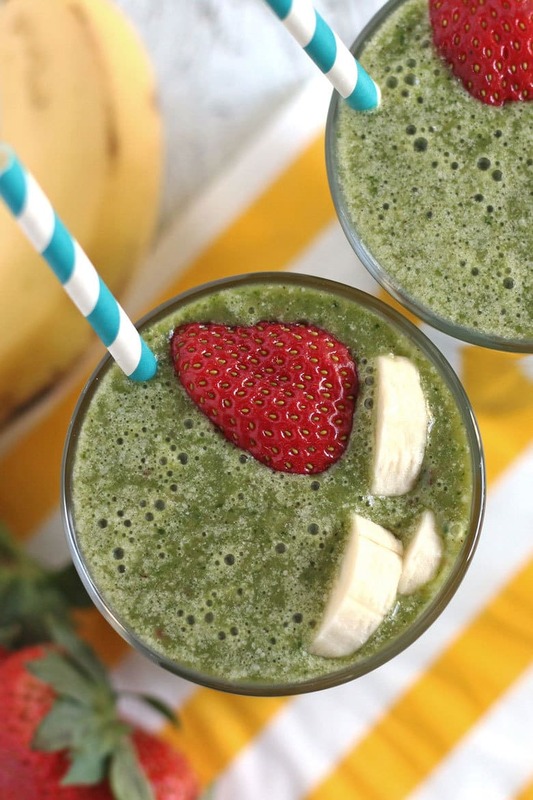 Try this strawberry banana green smoothie recipe! It’s dairy free and sweetened by dates. This year has just begun and I am sure many of you are either on new diets or trying to introduce healthier foods into your diets. 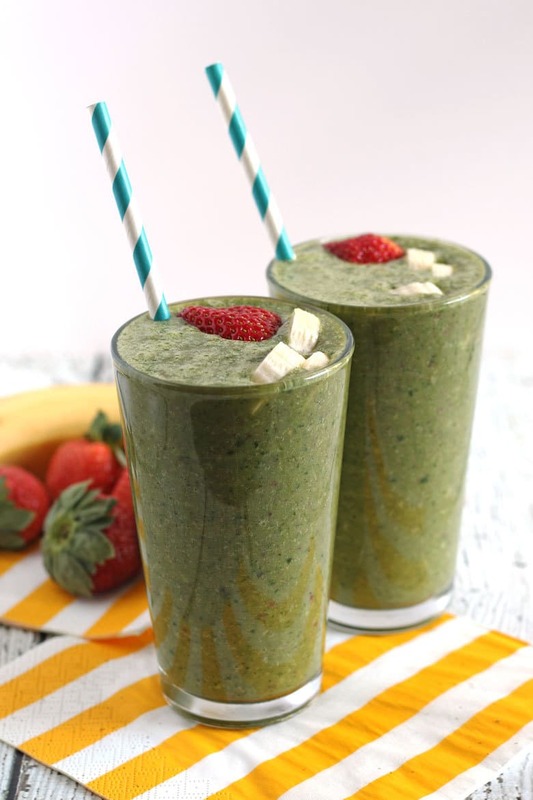 This green smoothie recipe is easy to make and a great way to start your day if you are trying to eat healthier in 2017. 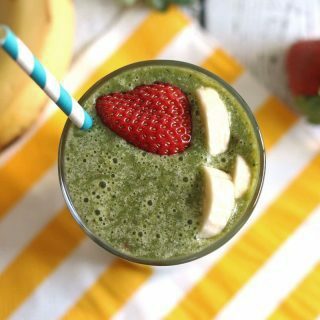 You will get several helpings of fruit and a big heaping helping of spinach, plus lots of flavor thanks to some of my favorite spices. 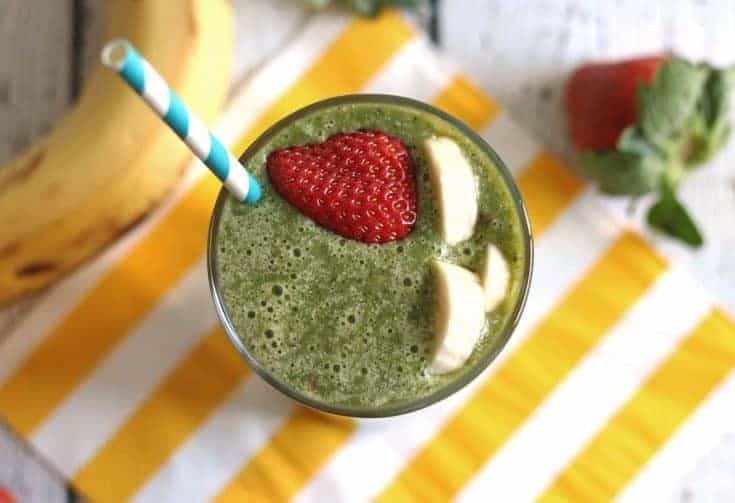 A little extra sweetness comes from a chopped up date and believe it or not, this strawberry green smoothie recipe is dairy free! I think I have covered almost every new diet you could have started this year. 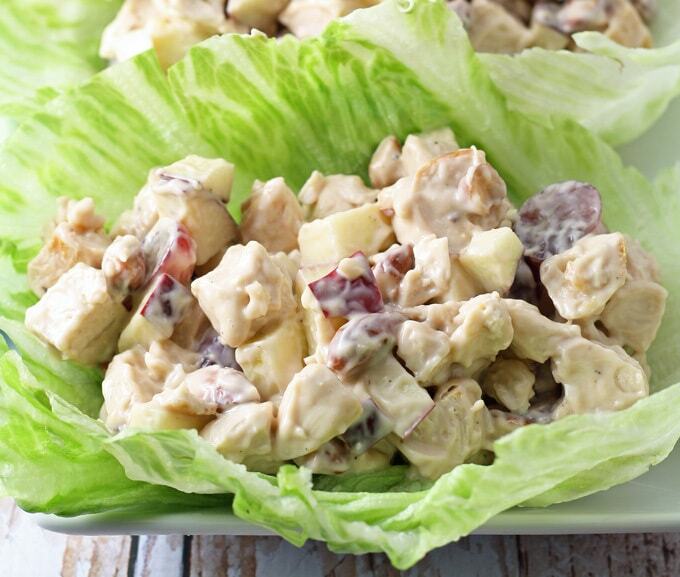 If you are missing a few ingredients, here are a few easy substitutions. The almond milk can be replaced by other nut milks, as well as animal milks or water. The date can be replaced by honey, agave nectar or other sweeteners. You can leave ingredients out too, if you wish. 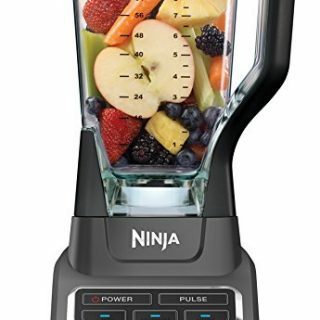 As I’m sure you can tell from the other recipes I have posted here, I am a big fan of my blender. Pull that baby out and throw all of your ingredients in it. The order doesn’t really matter but I usually put the liquid first, then the spinach and fruit, and then my spices and other additions. 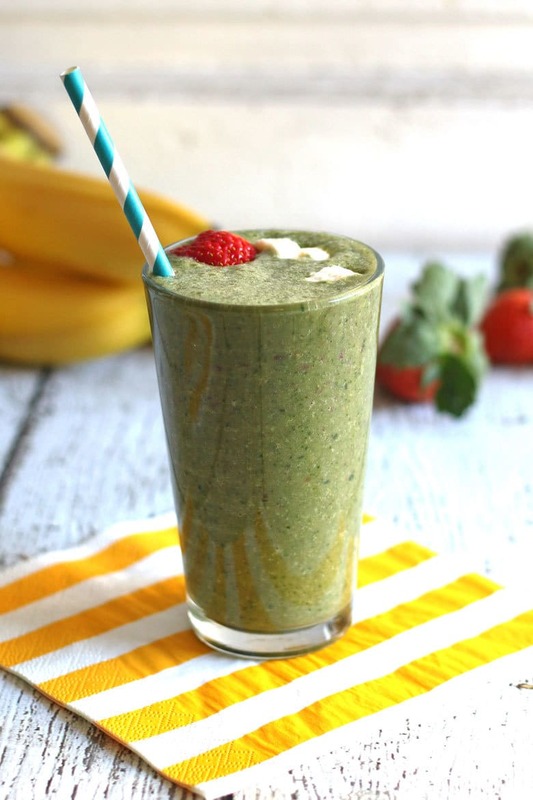 Blend the smoothie until smooth (hence the name smoothie!) and pour it into glasses. You will have enough for 2 large glasses so I put 2 servings. I think you will have a hard time resisting drinking the whole thing though – fair warning! 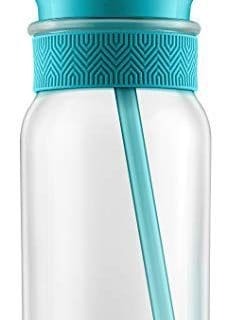 This is my new favorite liquid breakfast!! 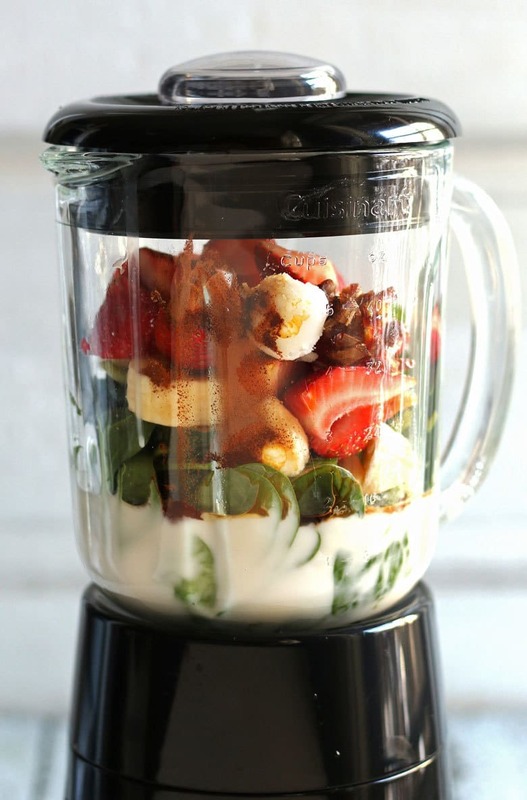 Combine all ingredients in a blender and blend until smooth. Pour into glasses and serve. Can serve over ice. 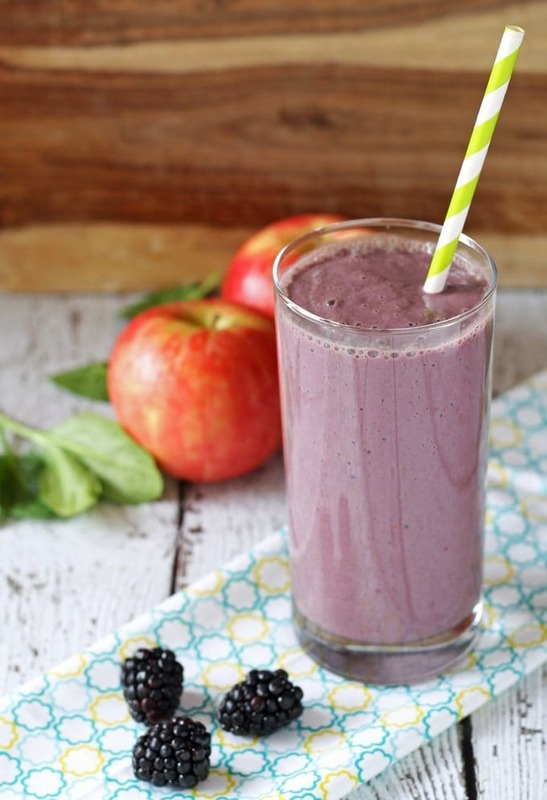 or my blackberry apple smoothie recipe!